This article originally appeared on the Hillcrest PR blog. John, the force behind Hillcrest, is our new guide. He’ll be running a completely new tour for us – “The Amazing Civil Service Adventure Tour!” – a light-hearted, tongue-in-cheek exploration of Croydon’s contribution to the public sector. The first tour takes place this weekend. You can book it here. 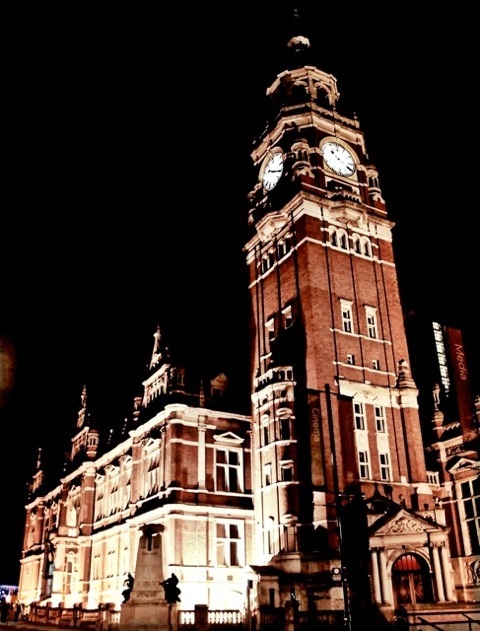 The Clocktower at Night – epicentre of local government in Croydon. Photo by Sharon Addison. A few months ago I went on Croydon Tours’ walk of the Historic Old Town. The brilliant guide, James Naylor, bought Croydon’s fascinating history to life. I learnt a huge amount about my adopted home and its background. Everything from the influence of Archbishop John Whitgift to the effect of post WWII planning policy was covered in this superb tour. James packed a huge amount in to the hour that he guided my group through the Borough’s back streets. It inspired me to look into an aspect of Croydon that is often overlooked; its contribution to Government and public life. The result is my slightly cheeky Amazing Civil Service Adventure Tour! You may scoff at the thought of Sir Humphrey doing his grocery shopping at Surrey Street Market but a huge number of civil and public servants work in Croydon, some of them holding a very senior rank and having responsibility for billions of pounds. 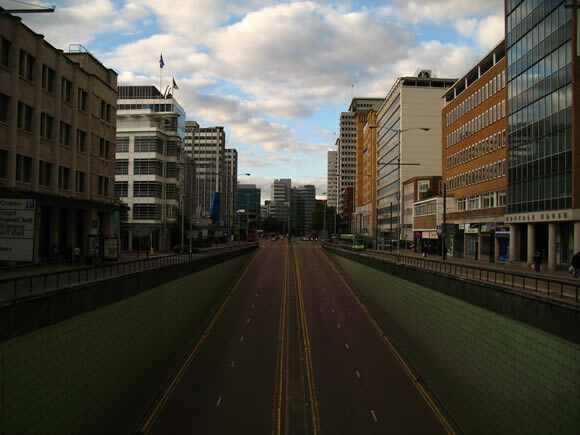 It’s no exaggeration to say that Croydon boasts its own Whitehall. Most locals will be aware the UK Border Agency is based on Wellesly Road but just a couple of minutes away is the HQ for the Land Registry of England and Wales. A couple of minutes in the other direction, Her Majesty’s Revenue and Customs has an office. Combined, these organisations have a huge workforce right in the centre of the Borough. As I looked further into the history of these and other institutions, I unearthed some amazing facts about Croydon’s public sector. For instance, senior staff from the Foreign and Commonwealth Office would visit premises in Croydon from where they would choose the wallpaper for their diplomatic missions overseas. I also discovered that Croydon was a major strategic hub for the Royal Mail because of its airport. From Croydon, mail was flown out to Europe and across the Empire. Bringing us bang up to date, I also found out that the Pension Protection Fund, a Croydon-based public sector success story that few locals have heard of, has grown in size to the point where it is responsible for billions of pounds worth of assets. In summary, Croydon has made a huge contribution to Government and this tour will give you an insight into that. Two dates are in the diary so far; 14 July and 25 August. Please come along, I’d be delighted to see you. To book a place and for more info about Croydon Tours click here. We’ve just added a quirky new tour our repertoire; led by our new guide John Lavabre. You can read more about this seemingly mundane, yet fascinating tour here. Book your ticket on the next tour here.